Moms-to-be in their second and third trimester will benefit from a massage designed for the pregnant woman. Please be sure to tell us you’re pregnant when you set up your appointment. Infant massage is a wonderful, natural way to encourage bonding with your baby. The aim of the class is to encourage parents to make infant massage part of the daily routine; achieving a wealth of emotional and physical benefits. The techniques that are taught are very gentle and safe, and can be used with older children, spouses and elders as well. This is a great treatment for aching hands and feet! You’ll feel relaxed and refreshed after we work on your areas of discomfort. You’ll be amazed by the depth of relaxation and easing of tension 10 to 20 minutes of chair massage can deliver! Chair massage focuses on the head, neck, back and arms. We’ll take a look at your posture while you’re standing and lying down. This will help determine which muscles need attention. Useful for massage therapy as well as focused exercise programs. Please bring a bathing suit or other form-fitting clothing. Bring about a deeply relaxed state of mind as we pamper and energize you! 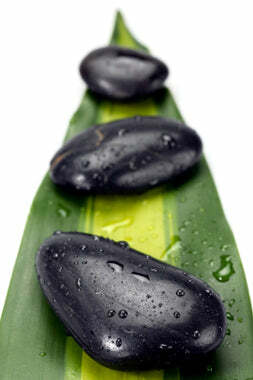 This therapy uses stones of volcanic origin to balance, relax and rejuvenate the body. This relaxing therapy includes hot towels to cleanse, relaxing massage strokes of the face and scalp and a natural honey and nutmeg mask treatment. This wonderful treatment helps relieve achy joints and is excellent for dry skin. We’ll apply the wax and then you relax and let it work. 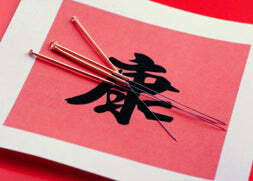 Acupuncture is used to treat a variety of conditions. Andrew Crapo is nationally certified (NCCAOM) in traditional Chinese medicine. Please click on the Acupuncture link to learn more. We’d like you to think of us when you think of wellness services. If you are looking for a specific service and you don’t see it here, give us a call. If we don’t offer it, we may be able to refer you to someone who does. We have an excellent referral network to meet all of your health and fitness needs.